St. Mary School recently celebrated the 50th teaching anniversary of Patti Littlejohn, 4-year-old kinder program teacher. After 39 years at El Roble Elementary School in Gilroy teaching 3rd grade and kindergarten, she retired from public school teaching and came to St. Mary School in 2006. Patti is an alumna of the school and comes from a multi-generational St. Mary School family attended by her father and 2 siblings, followed by her 2 children and 4 grandchildren. It was here when she was a student that Patti met her lifelong friend, Sister Bobbi Green, who attended St. Mary School with her and who currently teaches with Patti. Sister Bobbi commented, “Patti and I have come full circle, starting as first graders together and now as co-workers. She has left her footprint on the hearts of hundreds of children and their families. She is truly a gift and a blessing.” Of teaching, Patti says, “It has been a joy. I am so blessed to be in an environment that wraps itself around me and hugs me every day. So many students’ lives have enriched mine.” Living and working in the Gilroy community gives Patti the opportunity to see her past students who are now adults. She said, “Time has gone by very quickly, like a flash it seems. I get great joy when I am greeted by adults who were once my students. When they are little, there is something about their eyes that remains the same after they are grown, so I am able to recognize them as adults.” It is moments like these that touch her heart, and she thanks the Holy Spirit for helping her to remember their names and their 5-year-old selves. “I love to see how they are now as adults and hear they had fun when I was their teacher.” Patti says she has remained young-at-heart by teaching kinder students who keep her on her toes and continually amaze her with their views of the world. 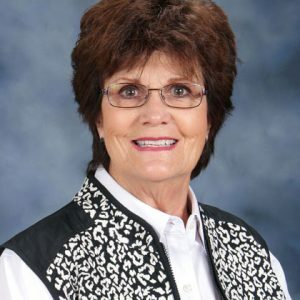 While 50 years dedicated to education is remarkable, she does not see herself retiring anytime soon and believes she will have a difficult time in retirement. She feels a tremendous responsibility to make her students’ learning experiences meaningful, positive and exciting. Her greatest satisfaction has been the “aha” moments when she has taught a subject, and it becomes her students’ knowledge for life. When she is not in school, Patti enjoys and treasures time with her beloved family as well as gardening and baking apricot pies. St. Mary School truly has been blessed by her service.